MANILA -- Communications services are being restored in areas that were affected by Typhoon Ompong amid repairs on the network facilities of telecommunications firms. Globe Telecom said all its cell sites in the provinces of Cagayan, except the municipality of Baggao, Apayao and Ilocos Norte, are fully restored as of 6 p.m. Sunday (Sept. 16). The telco expects to restore network coverage in Baggao on Monday once the fallen trees and toppled electric posts are cleared. Baggao was among the areas hardest hit by Ompong, according to the Department of Defense. Power outages and multiple fiber cuts caused by the strong winds resulted to network disruptions in Cagayan, Apayao, Abra and Ilocos Norte. “We want to assure our customers that Globe is exerting all means possible to immediately restore telecommunications services in areas adversely affected by Typhoon Ompong,” said Peter Tan, head of operations, of Globe's Network Technical Group. “We are expecting full restoration of services in affected areas within the day depending on the availability of commercial power,” he added. Globe has deployed critical tools and equipment to facilitate the process of recovering its service and working round the clock to repair damaged facilities. It has deployed additional Libreng Tawag and free charging stations this morning in Shell Station Tuguegarao, National Highway, Caggay; Cagayan Capitol Grounds; Barangay halls of Ugac Sur, Ugac Norte, Cataggaman Nuevo, Pardo, Viejo, Linao Norte and Linao del Sur; Ilocos Norte capitol grounds; Pasuquin municipal hall; Barangay Fuerte, Caoayan, Ilocos Sur; Bantay, Ilocos Sur; Candon Plaza, Ilocos Sur; Barangay Labinab West Tabacal in Cauayan, Isabela; Bejosano Subdivision Public Market in Ilagan, Isabela; and Barangay Uno in Tumauini, also in Isabela. Globe has likewise extended its free, unlimited GoWiFi service - in partnership with the Robinson’s Malls at the following malls until Wednesday, September 19: Robinsons Ilocos, Robinsons Laoag, and Robinsons Tuguegarao. PLDT and its wireless subsidiary, Smart Communications, said its services in Northern and Central Luzon are now at 96 percent restored a day after Ompong struck these areas on Saturday. Network restoration works for Smart’s mobile services are being conducted in the provinces of Cagayan, Benguet, Apayao, Mountain Province and Kalinga. 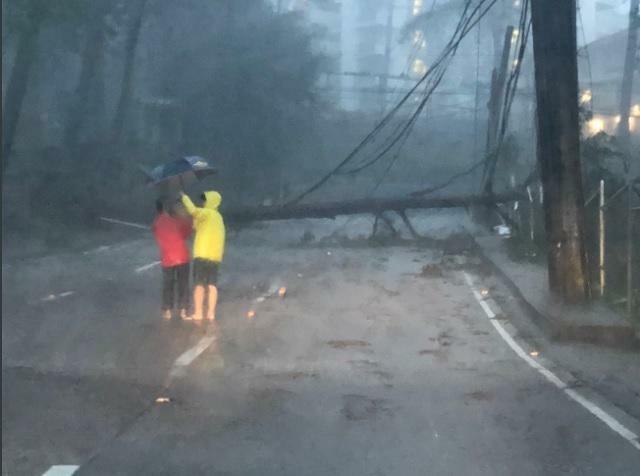 The typhoon caused power outages and damaged network facilities in these areas, causing significant impact in the telco's operations. “PLDT and Smart network restoration teams have been working round-the-clock to bring back voice, SMS and data services to the affected areas,” PLDT-Smart said in its statement.